Britain’s banking sector would face serious challenges and risk ruin in the event of Brexit, according to a new report out from research firm Bernstein. In a note from analysts Chirantan Barua, Daniel Lasry, and Mark Burrows, Bernstein sets out a doom-laden forecast of what could happen across British banks should the country choose to back Brexit next week. Bernstein points to three direct impacts of Brexit on the UK economy that would spill over into the banks, and cause big problems. Those spillovers are: the big drop in the pound expected after Brexit, a big rise in unemployment — as much as 2% — and a big drop in prices in the UK’s overheated property market. On the income side, the immediate hit will be on Investment Banking on a global basis — not only in the UK. We are already in the middle of a downturn in IB and in the case of Brexit, we are talking IB revenues down 30% this year and forecast the cycle lasting deep into next year. If the market gets Brexit wrong, it’s hard for us to see capital being put to work globally before the US presidential elections. On the loans side, we believe Unsecured should fall sharply by 6-8% within the next 18 months on the back of unemployment ticking up and derisking. 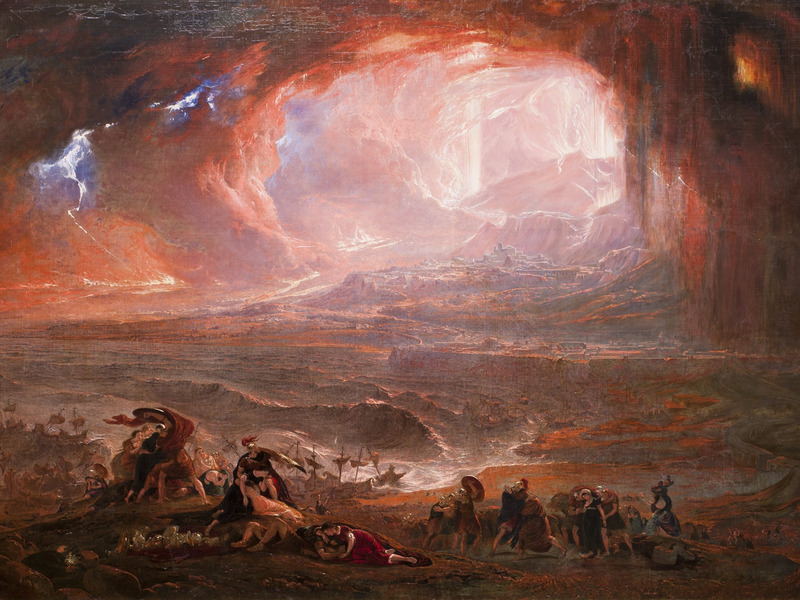 Mortgages should fall 3-4% as well, as the front book dries up with a house price correction. “Affordability [British houses are less affordable than ever before] is the only reason we are not modelling a full blown mortgage crisis,” Bernstein adds. While the sector as a whole will take a big hit according to Bernstein, individual banks would be affected differently, with Barclays and Lloyds, two stalwarts of the high street, taking the biggest hits. 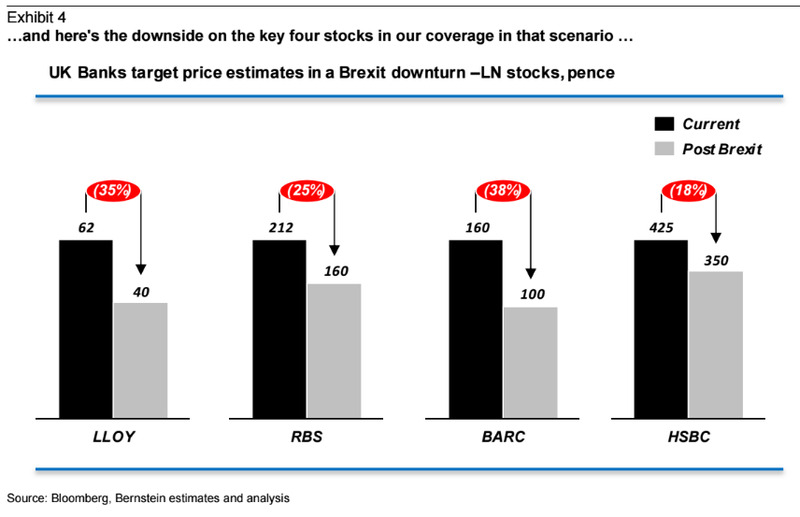 Bernstein notes that Lloyds has the highest proportion of UK exposures of any bank, while Barclays has the highest exposure to London, which Bernstein argues will be hit hardest by Brexit. 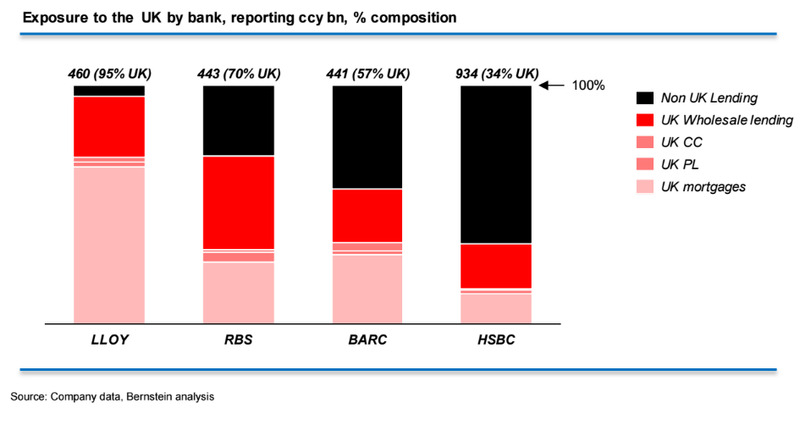 HSBC, Bernstein notes, would be relatively unscathed thanks to having just 35% of its exposure in the UK market. 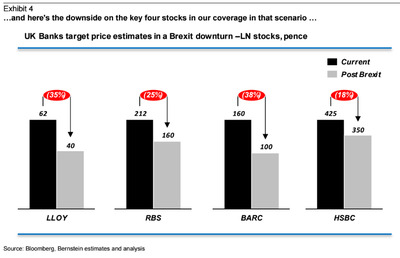 Here’s Bernstein’s breakdown of exposures by bank, showing just why Lloyds could be in such trouble after Brexit.